Today, the Better Buildings Partnership provided a sneak preview of their latest commercial building leasing standards tool at the NABERS annual conference. The tool, set for release by mid-2016, identifies opportunities for collaboration at the time of lease negotiation that can lead to improved better building performance. Over the last decade, Australian landlords have demonstrated global leadership in sustainability and building performance, however the base building only tells half the story. There is in fact a lack of performance data available for tenancies despite alignment of sensible CSR and other sustainability objectives between many major businesses and property owners. Added to that we all know that old adage that what isn’t measured can’t be managed. The standard commercial lease often gets in the way of these sensible people making sensible decisions, like upgrading lighting during the lease term or enhancing productivity with improved comfort in the space. The lease can however be a key enabler to these activities, and the BBP has worked for five years to set out templates, research and systems to make it easy to understand and implement these. What has the BBP created? The BBP Leasing Standard is a world-first in the definition and recognition of best practice in green leasing, with minimum requirements and a method for incentivising broad and deep collaboration between landlords and tenants. 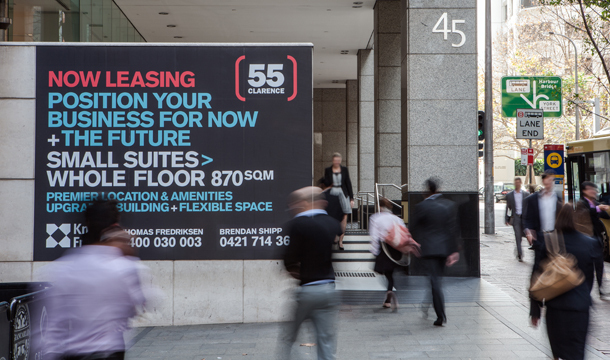 Following the BBP’s Leasing Index study research – which found that nearly two-thirds of leases in the Sydney CBD include some form of ‘green leasing’ – the Partnership worked with global leaders including Oxford University, the Institute of Market Transformation, NZGBC and others to understand and set the most common core topics present in leases that claim to be ‘green’. The presence of these topics – environmental initiatives, enabling upgrade works, energy management, information sharing and performance ratings – now set a minimum definition for leases to be considered ‘green leases’ and in compliance with the BBP Leasing Standard. This is a framework for recognising commitment above and beyond minimum requirements. How does this apply to NABERS Assessors? NABERS Assessors are trusted experts in the analysis of building performance, but many also provide audit and improvement services for buildings. With only half the building available to improvement services when engaging in NABERS base building ratings, leases that include green leasing can begin to open up the low-hanging fruit across the whole building (especially when combined with other services like BEEC Tenant Lighting Assessment data and other audit tools). Using the BBP Leasing Standard to analyse executed leases and provide recommendations from the BBP Model Lease Clauses and MOU templates to fill gaps and enable new upgrades, Assessors can be key brokers in unlocking the next performance improvements in our building stock. So, how do find out more? The BBP presented its Leasing Standard and Lease Scoring tool at the NABERS Annual Conference in Sydney on 27 April, with a full launch of the work expected by mid-2016. If you missed the conference, you can see the slides from this sneak preview here.